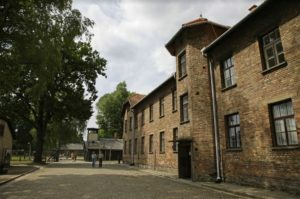 If you have more free time during your visit to Lodz, why not devote it to a full-day tour of Auschwitz and Krakow. These two places are among the most popular tourist destinations in Poland. At the Auschwitz Holocaust Memoria, the guided tour lasts approx. 4 hours. After that, you’ll head to Krakow for lunch in a traditional Polish restaurants and a short rest before being taken for a walk by our licensed guide around the magical Old Town. You will also have some free time for shopping in the oldest shopping mall, the Sukiennice Cloth Hall. 08:30- depart from Lodz. The driver picks you up straight from your hotel. 11:00- arrive at Auschwitz. Sightseeing of the Memorial in a guided tour in English. 16:30- arrive in Krakow- Dinner in a restaurant. Sightseeing of the city with your private, English-speaking guide. Based in Lodz? Visit Warsaw!